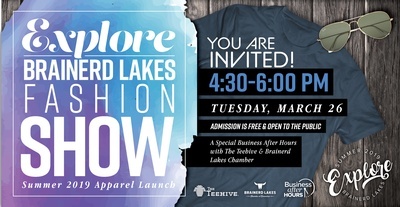 Explore Brainerd Lakes Fashion Show! 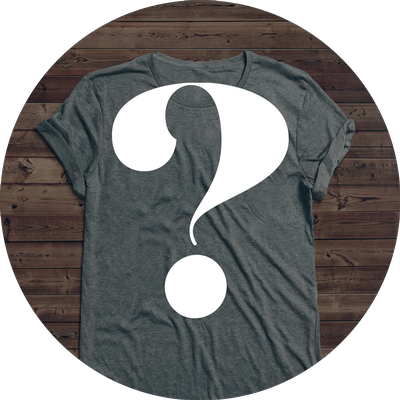 The Brainerd Lakes Chamber is debuting an apparel line in partnership with The Teehive! Wait! The Chamber sells clothing?! Yes, at our Welcome Center. Join us on March 26 when the Chamber and The Teehive cohost Business After Hours at The Teehive. Guaranteed to be a fun with a runway show, food catered by Ernie’s on Gull, and screen print your own t-shirt stations. The Teehive was started in 2009 by Steve and Cindy Clough. Steve and Cindy started Just For Kix in 1981 and have built it into the multifaceted business that it is today. With the growth of Just For Kix came a growing demand for custom apparel and soon The Teehive was born. Using the latest technology, they offer comprehensive printing capabilities including: silk screen, dye sublimation (dye sub) printing, embroidery and automatic hotfix sequin motif. They have relationships with brands you know and trust. The Teehive's mission is to give you exactly what you want for your school, event, sport, business, or if you are just looking for that one special design. For more than 100 years, the Brainerd Lakes Chamber has served its members by building a healthy and successful business community in the Brainerd Lakes region of Minnesota. Every day the Chamber - which includes the Pequot Lakes Chamber and Crosslake Chamber - is workng on destination marketing, advocating for business interests, and promoting member focused marketing programs and education.